Jonathan Bryan is a member of the Investment Properties Group in Dallas, focusing primarily on the sale of institutional industrial investment properties on a regional and national level. The team specializes in industrial institutional investment property sales across the nation. The team’s transactions have included national portfolio sales, programmatic joint ventures, and one-off local dispositions. Since joining the team, Mr. Bryan has been involved in more than $9 billion of transactions. 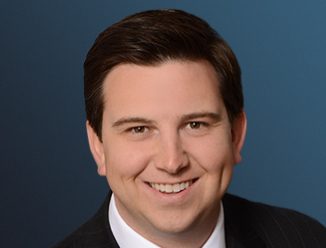 Prior to joining CBRE, Jonathan spent time working with the capital markets team of the Trammell Crow Company as well as Ernst & Young, where he was involved in real estate audits of both public and private companies. Jonathan is also a member of CBRE National Partners, fifteen industry leaders acting as one within a partnership model. They deliver superior information, analytics and strategy leading to exceptional execution over the industrial investment property life cycle and across the capital stack. In 2011, the team completed 129 investment transactions representing over 66 million square feet with a total consideration of over $4.1 billion.